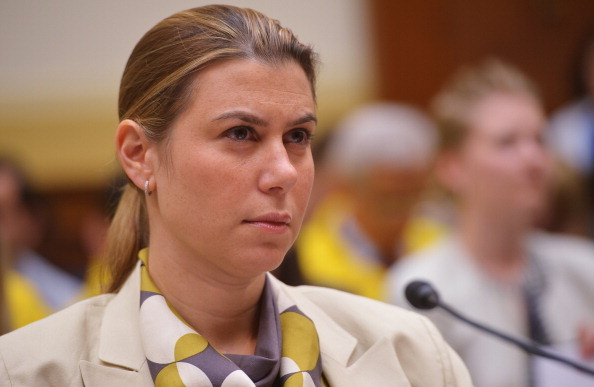 The Democratic push to highlight health care in the midterm elections is evident in Elissa Slotkin's newest ad -- her second of the general election -- which was released Thursday. It tells of her mother's stage 4 ovarian cancer and promises voters Slotkin will fight to preserve health care coverage for those with pre-existing conditions. She's running to unseat incumbent Rep. Mike Bishop, R-Michigan, in Michigan's 8th Congressional District. In the 60-second ad, Slotkin makes a personal plea to voters, reminding them that health care is on the ballot this election cycle. Her mother was diagnosed with ovarian cancer in 2009 and passed away in 2011. "This is a story about my mom, but it could be about anyone's mom," Slotkin says in the ad, while looking at pictures of her mother at their family farm. "She had survived breast cancer when I was very young, but her pre-existing condition hung over all of us when we lived here at the farm." Slotkin tells voters in the ad about how her mother lost her job -- and her health insurance -- and had no health insurance when she was diagnosed with ovarian cancer several years later. Slotkin moved up the date of her wedding to ensure her mother could see her married. The ad shows video footage of her mother at the reception, telling her daughter and new husband, "Seeing the love between the two of you is the thing that get me through the terrible months in the hospital." The ad, which is a six-figure buy running on Detroit broadcasts, concludes with Slotkin criticizing Bishop for his vote to repeal the Affordable Care Act (ACA), also known as Obamacare. "So, when I saw Congressman Bishop smiling at the White House after voting to gut protections for pre-existing conditions, something inside me broke," Slotkin said. "I'm running for Congress, and I approve this message because Mr. Bishop, that's dereliction of duty and it's a fireable offense." While Slotkin narrates this portion of the ad, video footage of Bishop smiling at the White House on May 4, 2017 plays. Health care is polling as one of the main issues concerning voters this election cycle, and Senate and House Democrats running for re-election are emphasizing their commitment to supporting coverage of patients with pre-existing conditions in their ads. Earlier this week, Sen. Joe Manchin, D-West Virginia, released an ad that depicts him firing a shotgun at the GOP attorneys' general lawsuit signed by his opponent, West Virginia Attorney General Patrick Morrisey. Their lawsuit aims to dismantle the ACA. In an interview with CBS News, Slotkin said that in the time period between her mother's diagnosis and her death, it didn't occur to her to run for office. But she said that seeing Bishop smiling at the Rose Garden ceremony, celebrating legislation that would have repealed the nation's health care law motivated her to run. "I turned to my husband and said, 'No you don't get to do this,'" Sloktin said. Bishop "has forgotten that his, you know, boss[es] are the people who elected him, and his job description is to better their lives. He's doing the opposite." Troy Hudson, Bishop's campaign manager, responded to the ad in a statement saying that Slotkin is "lying about Bishop's record." "I am sorry about her mother's passing," Hudson said in the statement. "Families have to deal with unfortunate situations. But unfortunately Elissa Slotkin is lying about Mike Bishop's record. Mike Bishop voted for a replacement plan for the Affordable Care Act that kept existing preconditions. He was also an original cosponsor to the Pre-Existing Conditions Protection Act (HR1211) that reaffirmed the guaranteed health care access to those with preexisting conditions." Slotkin, who served in Iraq and spent 14 years in the national security field, said voters routinely express their concerns about the rising costs of health care and prescription drug prices at her campaign events. She told CBS News that she supports allowing people the option to buy into Medicare, which would control their cost of prescription drugs and health care. "I think there are lots of people who are really – they are pretty happy with their private insurance, so the way to go at this is a buy into Medicare, no matter what age you are," Slotkin said. Democrats need to flip 23 seats to gain the majority in the House. CBS News rates this race as competitive. Michigan's 8th congressional district, which President Donald Trump won in 2016 by almost seven points, includes Lansing and a portion of Northern Oakland County. Slotkin said her campaign has spent time with Trump voters and added that her campaign's fastest-growing volunteer category is Republican women over 50 years of age in the suburbs of Detroit. "We now have events that are thrown by Republican women for Republican women," Sloktin noted. In addition to these events, her campaign has started the "Common Ground Breakfast," where Democratic, Republican and independent women voters come together to discuss issues and to practice civility when discussing these issues. Slotkin said voters approached her about the "tone" of politics, and she added that this type of event is her effort to bring people from both sides of the political spectrum together. "We have a place to go because we can come together and talk about things we have in common," Slotkin said. "That is important for people to believe that we can get to a place where we can have civil, reasonable, responsible discussion again among people with very different views." Recalling her time in Iraq, she said political affiliation did not matter because the primary mission was to protect U.S. military members and the U.S. homeland. Slotkin served under both Republican and Democratic administrations. "That spirit is how I was raised," Slotkin said, "and it's that spirit that I believe is completely gone from our domestic political conversation to the detriment of our country."